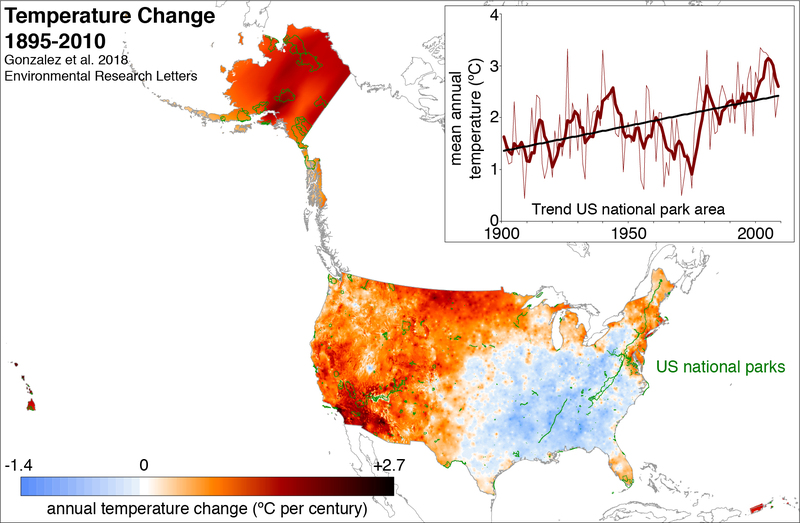 Research led by the University of California, Berkeley, and published in Environmental Research Letters has examined historical and projected trends in anthropogenic climate change for the United States and for all 417 U.S. national parks. 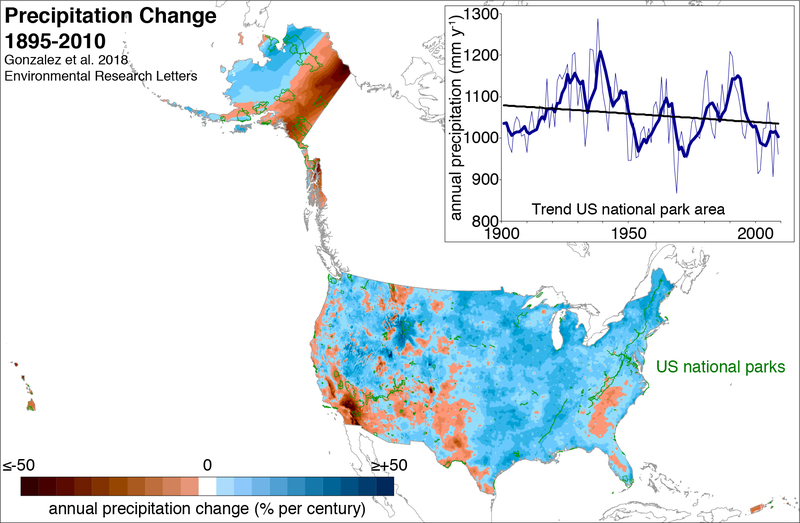 Results show that temperature in the national park area increased at double the U.S. rate from 1895 to 2010 and precipitation decreased on a greater fraction of the national park area than the U.S. as a whole. 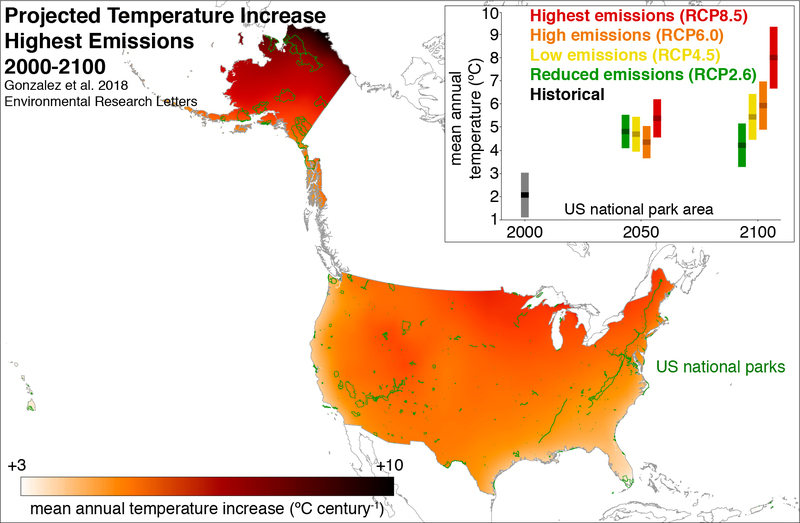 Continued climate change could expose a greater fraction of national park area to projected temperature increases >2°C, the upper limit of the Paris Agreement goal. This page provides spatial data files of the principal results. 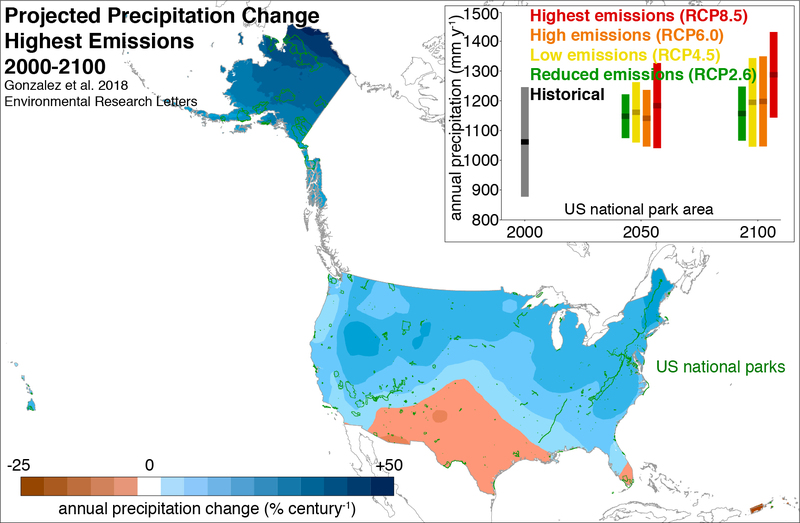 The data cover the 50 U.S. states, the District of Columbia, American Samoa, Guam, Puerto Rico, and the Virgin Islands. A table provides the principal results for each of the 417 national parks.